The 1972 mint set contained eleven coins and one Bureau of the Mint token in two pliofilm sleeves, each with six compartments, one with red edges, the other with blue. The mint set included two half dollar, quarter and dime cupronickel clad coins, two nickels and three one cent coins. Though the Eisenhower dollars were minted in 1972, the US Mint packaged and sold the uncirculated dollar coins in separate one-coin sets. 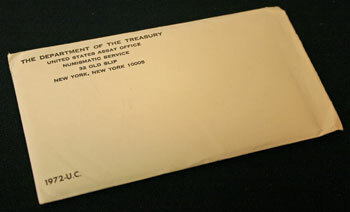 A plain white envelope with the address of the United States Assay Office in San Francisco (the mint) in the upper left corner held the 1972 mint set. In the lower left corner "1972 — U. C." identifies the mint set where U. C. means Uncirculated Coins. 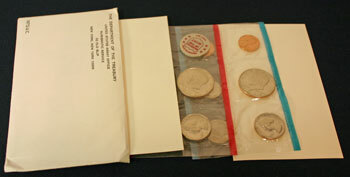 Pieces of cardstock, one on either side of the two pliofilm sleeves, helped protect the coins. The cardstock and the coins slide snugly inside the white envelope. Each pliofilm sleeve contains six separately sealed compartments. The red-edged pliofilm holds the five coins minted in Denver along with a token. The blue-edged pliofilm includes the five coins minted in Philadelphia and the Lincoln cent minted in San Francisco. Though the coins are sealed inside their individual compartments in each pliofilm, the coins easily rotate into various positions. 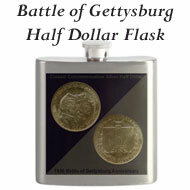 From the other side, the reverse images for the five different uncirculated coins can be seen. Conversely, the token shows the same printing on both sides. 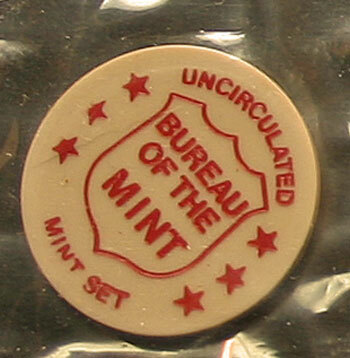 Like the previous year, the red printed token in the 1972 mint set identifies the set as "uncirculated mint set" instead noting particular mints as in the previous years. 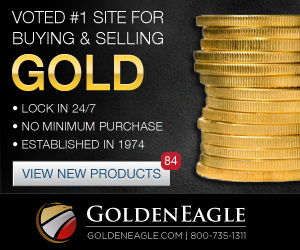 The Director of the Mint announced that orders for the 1972 proof coin sets are being accepted by the San Francisco Assay Office and will be until the production limit has been reached. The price at $5 per set includes shipping and handling. In the meantime, the Mint works to package and fulfill the rest of the 1971 Eisenhower dollar orders. 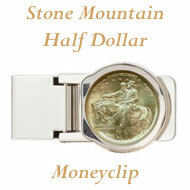 Generally, the US Mint's artists produce the designs for the coins and medals struck by the Mint. From Jan 1, 1972 through Mar 31, 1972, artists can submit designs to compete for the bicentennial medals to celebrate the nation's upcoming 200th anniversary. A panel of historians and artists will judge the submissions and choose the winners. $500,000 for the awards and $10,000 for prizes has been allocated for the competition. 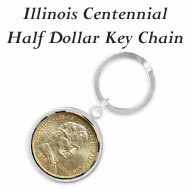 About the newly minted Eisenhower dollars, the Director of the US Mint said, "Demand is very great for them in the West. 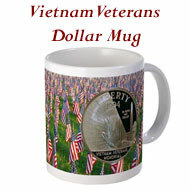 The dollar coin always did circulate very well out there." 130 million have already been shipped to the 37 Federal Reserve Banks and production is being increased. 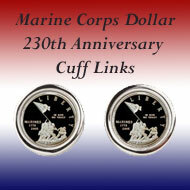 The mass produced coins are unlike the coins being sold to collectors for $3 and $10 for the uncirculated and proof coins. The House of Representatives voted 387 to 1 authorizing the US Mint to produce bicentennial medals to celebrate the country's 200th anniversary. One national medal and thirteen different commemoratives will be released. The national medal will be released in 1976, but other than the thirteen must be delivered before 1983, no specific dates were set. At the time, the metal content of the medals and the pricing have not been determined. 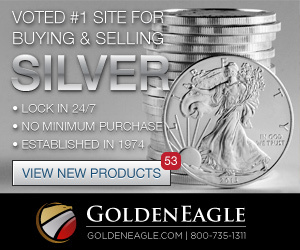 Though people continue to try, efforts to return to silver coinage for 1976 have failed. During a meeting of the Senate Appropriations Committee, Treasury Secretary John B. Connally said, "The profit we're making on sales of the Eisenhower dollar is just unconscionable, that's the truth." Per a mint spokesman, the profit made the previous year on the uncirculated and proof Eisenhower dollars was $40,411,689.14 with the average profit being $3.89 per coin. With the number of coins authorized, the total expected profit is almost $600 million. After passing the House, two bills authorizing the disposition of nickel and lead out of the government stockpile went to the White House for the President's approval. Determined as no longer needed in a stockpile reserve, the nickel will be transferred to the US Mint for the production of coins. The lead surplus will be sold commercially. With the plague of counterfeit coins, the American Numismatic Society announced a new certification service called the ANA Certification Service. Former employees of the US Mint will review submitted coins for authenticity, however they will not grade or appraise the coins. If the coins are determined to be genuine, a certificate with pictures of the obverse and reverse of the coin along with a certification number will be provided. 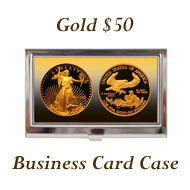 Fees are $5, $7.50 or $10 for each coin valued up to $500. Over $500, the fee is 5% of the coin's value. Coin collectors determined some of the 1972 Lincoln cents have been struck twice. 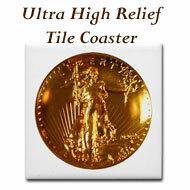 A Mint spokesman admitted as many as 100,000 of the double die pennies might have been minted. But, that number would be a small portion of the five billion pennies the mint would produce for 1972. 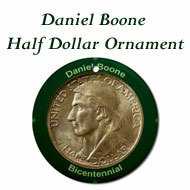 Some of the early double die pennies were going for $40-$80 for uncirculated condition. With demand the price could go as high as $150. The US Mint will add the cupronickel Eisenhower dollar in the 1973 proof set. Due to the special handwork detail required for the proof coins and the large size of the dollar coin, the addition is expected to increase the proof set price from $5 to $7. 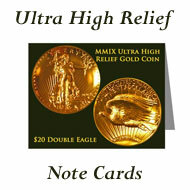 They hope to add the dollar coins to the uncirculated mint sets too, but the issues are not worked out yet. This advertisement announces the first bicentennial medal to be offered by the US Mint. 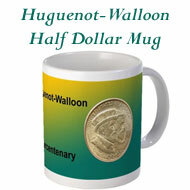 The obverse includes a portrait of George Washington based on the Houdon Bust. 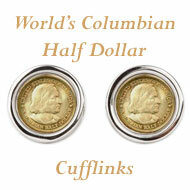 The reverse includes three different symbols of the colonial era. Roughly 1 1/2 inches in diameter, the medal was struck in bronze. The ad included an order for one, two, three or four medals at $3.50 each. The General Services Administration is selling US dollars, those minted in Carson City during 1882-84 from the Comstock lode silver. In their leaflet, they comment, "They jam Silver City, Johnstown and Gold Hill. The mines groan. The Comstock Lode is rich with silver. The blue grit that had clogged the gold panners' screens is precious. A branch mint is organized in Carson City, and by 1874, the Big Bonanza is on, as the Consolidated Virginia Mine strikes the largest gold and silver deposits in the history of the Comstock Lode. Ton after ton, the ore is minted into dimes, quarters, half-eagles, double eagles, and the famous Carson City silver dollars." The 1972 Mint Set Year included news of what the US Mint would produce for the upcoming bicentennial of the nation.